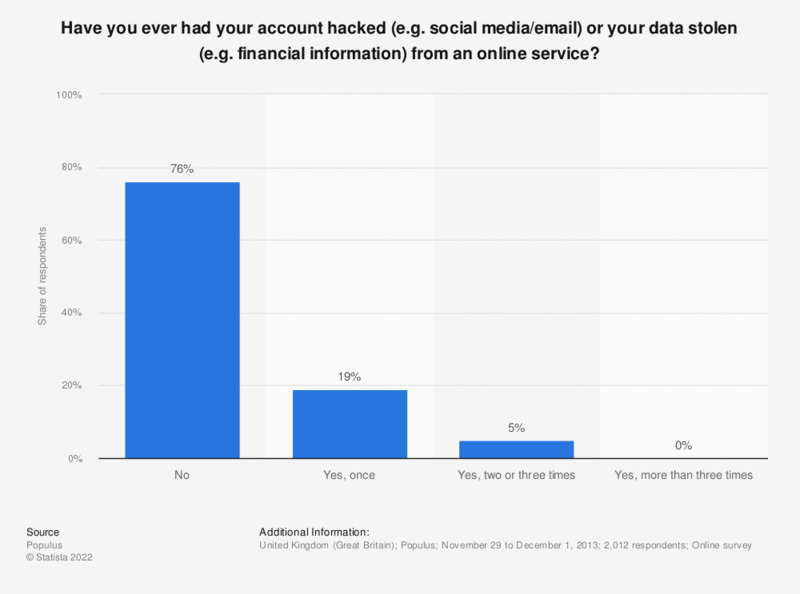 This statistic displays the share of British survey respondents reporting having been hacked or having had data stolen from an online service as of December 2013, by number of times the hacking or theft occured. Among respondents, five percent reported having been hacked two or three times. How concerned are you about experiencing or being a victim of personal data fraud attempts?